Came across an article from Pinoyautotrader.com detailing the items that should always on you glove box. I agree to some and somehow refute the other on the list. This item will be very useful during accidents or breakdown during night time. You don't want to be stucked in a middle of a dark place with no other means of lighting. Its scary and more importantly, dangerous. Although I agree that this should be a requirement for all cars. I somehow think it should not be stored on the glove box. My suggestion would be to place in on the center console comparted (if there is any) or anywhere accessible. Of course, in this era of mobile phones , specially smartphones, battery life is important. Should we put it on the glove box? Why not, they're usually small enough to fit it. This got me thinking, in this time of tablets and smartphones, who still needs a notebook and a pencil? Then I realize, when it comes to quick notes nothing still beats the old school pen and paper. Owner's manual is definitely a must. It provides you the information you need to better understand your car in terms of usage, and even troubleshooting. Most of the time, owner's manual also comes with a leather cover with spaces for the registration papers etc. Hmmm. It can be of help, but should it be included on the glove box? Plus I have this incident before where in i leave a bottled water inside my car for several days. The water turned darker. I'm not sure if its because of changing temperature of the car and the chemical reaction with the container or another thing. But stille, I'm not leaving beverages anymore inside the car. I would bring in fresh ones every trip but I dont plan on storing one for a long time for emergency purposes. I haven't think of this one. I agree on this. A must. For sunglasses , yes, i think also they should be on every car's glove box. Although a lot of cars today offers a dedicated compartment area for eyewears. Sun screens? I dont like putting liquid items with documents and other things that might be on the glove box, so no. Compact umbrella? Can be. But for me they're best stored on the spaces on the door panels or center console. 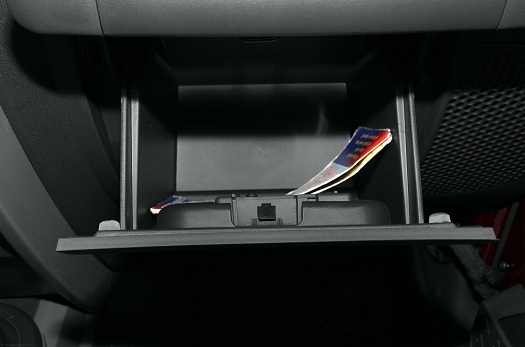 Most cars have dedicated spaces for such, I dont think the glove box is also intended for this kind of items. 10. Documentation Of course, Car Registration, Proof of Insurance. Documents that will prove your vehical is legally acquired and legal to drive. - Spare flashdrive, flashdisks, cars today usually have USB ports that are found inside the glove box. Having a flash drive around is handy when you need to copy a song, or movie from other people that you want to play on your own vehicle. - Spare cash, as in bills not coin. There will be times that you will forget your wallet or money. Spare cash from your car is a good help. - Prepaid card and SIM card, for when you ran out of phone credits or phone is dead. This can be helpful if you will be borrowing someone else's phone. - Emergency Contact number list, most of the time its included on the owner's manual but could be out of date. Still better to maintain an updated list, just in case.